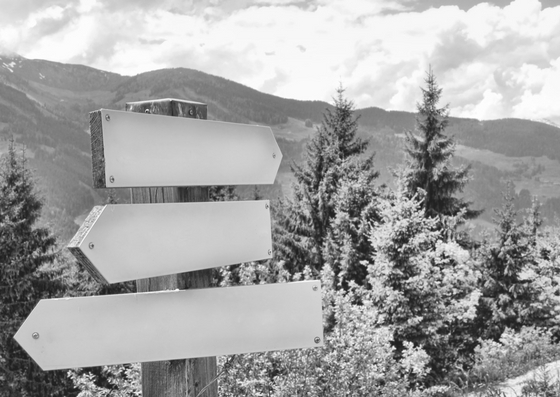 In previous posts we've identified a selection of ways in which you can find your way back to work: returnships; networking and creative crafting of a role. But these are just a fraction of the options that are available! Applying for advertised roles - although an obvious option, the places where roles are advertised might be less apparent, especially on the web (see our resources section for some ideas). If you sign up to online recruitment agencies, be aware that you will be competing with thousands of others for attention, so be selective and don't expect too much. Most organisations now use their own websites as a recruitment vehicle and you can usually sign up for alerts that are issued when new roles are posted. Many organisations use LinkedIn to search for people so make sure your profile is up-to-date and relevant to the kind of role you want. You can also search on LinkedIn for the thousands of role which are advertised. The following options can provide more flexibility and allow you to ease yourself gradually back to work if you are not ready for the bigger commitment of a permanent role (see thinking small for other examples). Freelancing - Sarah* formerly a market research agency director became a freelance researcher for her previous employer as a first step to marketing herself as an extra resource to other agencies. She became so successful at this that she soon created her own business taking on whole research projects which she designed and managed herself, drawing on additional freelance resource when she needs it. Associate work - if you have a specific skill or expertise that you want to offer, associate work can provide advantages over freelancing: as an associate, the company you contract with is normally responsible for winning new work. However, companies which use associates rarely guarantee the amount of work and so having different associate relationships can provide necessary variety. Also, from a tax point of view, it means you won't be classed by HMRC as an employee. I still do some work as an associate of the coaching organisation I joined when I first launched my own business. Project-based work - Although organisations rarely advertise this kind of work, offering to work on a project can be a great introduction to an organisation and can open doors for you there. Alternatively, you could discover that you enjoy working in this way and develop your own consultancy. Interim roles - joining an organisation in a defined role for a defined time can be a great way to use your skills and experience without making a long-term commitment to returning to work. Opportunities arise as cover for maternity and long-term sickness and also when organisations are in transition and need someone on a temporary basis. While there are established interim management agencies, you are likely to have more success finding these kinds of roles through networking. Skilled or strategic volunteering - Amy*, a former city lawyer, chose to volunteer in the legal department of a major national charity as her route back to work. She started out advising on contracts which was her expertise and after a while negotiated a move into the trusts and legacies team. Here she was able to build up the right experience to apply for permanent paid roles as a private client lawyer in private practice, her ideal new role. And finally, there is the option of starting your own business. Sometimes this can develop from freelancing or project work and sometimes you have an idea for a product or service you want to develop. A business can develop from a hobby, as it did for the woman who made my new curtains and for Helen* who now combines her PR and communication expertise and great interest in human stories with her business partner's film-making skills to create personal and corporate videos. On our success storieshttp://wrpn.womenreturners.com/success-stories/ page you'll see more examples of the different routes people find for getting back to work. If you've returned to work, we'd love to hear your story too! Thank you for your feedback. It is good to hear from our readers that we are writing posts you find useful. Thanks for your nice post . I hope I will see this type of post again . Where you can find more information regarding this Site . Excellent! . This will be very useful to me. Thank you.